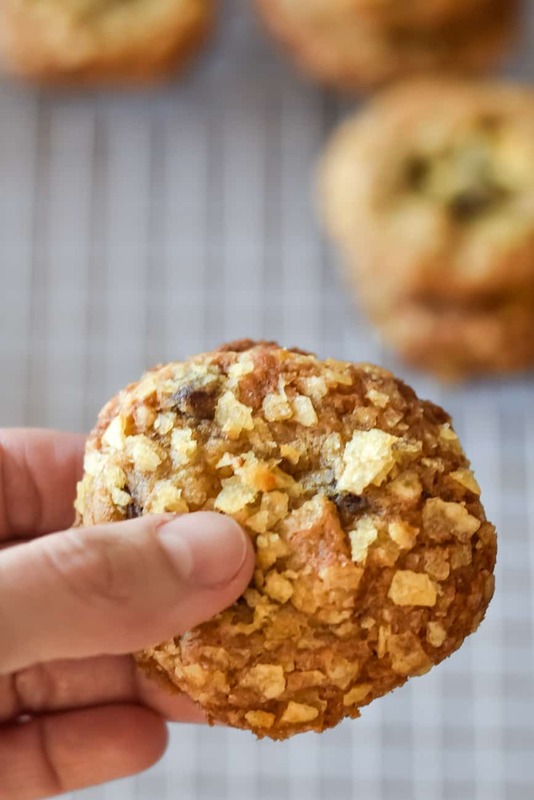 If you haven't heard of potato chip cookies before, you might have read that title and just thought Whaaaat? Potato chip cookies? That can't be right! My mom had made potato chip cookies a few times when I was growing up, but I had forgotten all about them until she mentioned them a few weeks ago. My Grandma Nelson passed away almost 20 years ago, and I knew I had no hope of tracking that original recipe down. 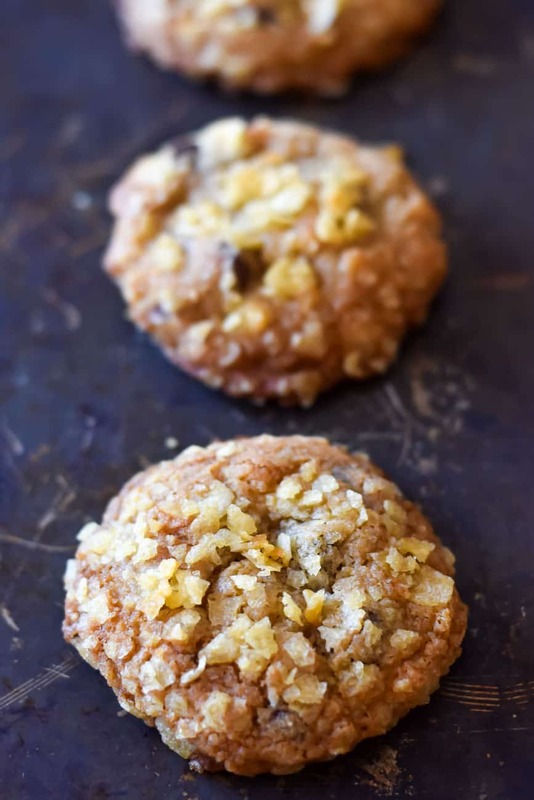 At the same time, I decided I really wanted to find the best potato chip cookies recipe so I could make them for my mom. While we were sitting at breakfast, I pulled up a few recipes for potato chip cookies on my phone to see if they rang a bell. The few that I found had way too much butter. They had nuts, and the recipe she wanted didn't have them. 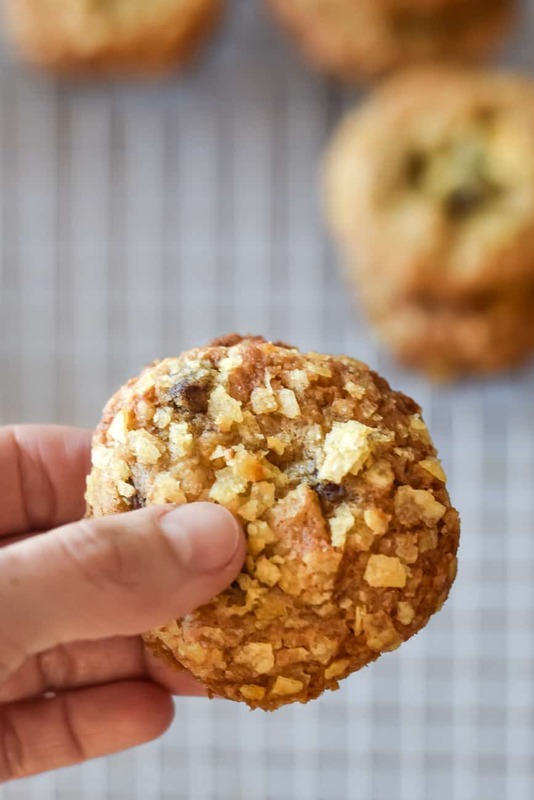 She wanted potato chip cookies with chocolate chips, and she didn't want potato chip cookies with oatmeal or extras that made it into a monster cookie. I searched and searched, and I realized I had several old recipe boxes to go through from other family members. 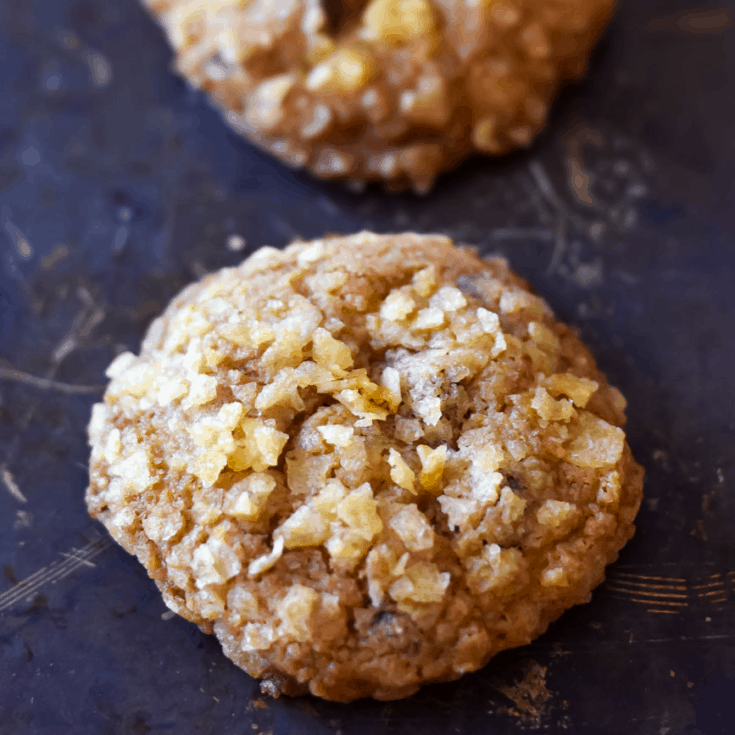 There, I found the best potato chip cookies recipe that I'm sharing with you today! Delicious shortbread sugar cookie bars. 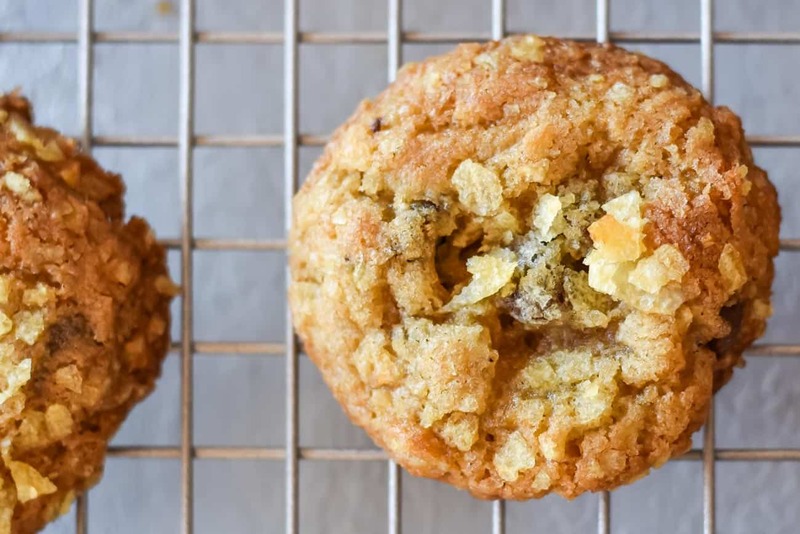 Before I jump into my recipe for the best potato chip cookies, I want to let you all know that I have a special reason for sharing this recipe today. It's to raise money for a very important cause. This is my second year participating in a very special Valentine's event. 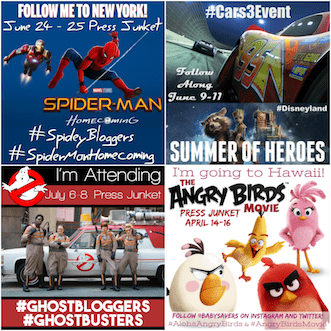 I'm partnering with a group of bloggers to make a difference in the fight against pediatric cancer. There are 40,000 U.S. children actively battling cancer right now. Did you know that cancer is the #1 cause of death of children by disease in the United States? With less than 4% of the National Cancer Institute's budget going to all childhood cancer combined, it's important for all of us to get involved. Today, I'm involved with Cookies for Kids' Cancer. Three amazing companies, Dixie Crystals, Mediavine and OXO have individually pledged to match our donations raised through this campaign up to $3000, so our goal is to raise at least that much! Please help us make a difference by donating to Cookies for Kids' Cancer. Scroll down for links to all the other delicious recipes posted to support Cookies for Kids Cancer. I donated to Cookies for Kids' Cancer when I decided to participate in this event. Please consider donating to Cookies for Kids' Cancer, too! I love the combination of salty and sweet, but it's usually found in crunchy snacks and candy, right? Sometimes I just want a delicious baked item that combines sweet and salty flavors into something softer and chewier. Something that's also not salted caramel. Also, have you ever had chocolate covered potato chips? If you haven't, you are totally missing out. They are the most heavenly combination of salty and sweet that I've ever experienced. I used to get them from time to time in a few different candy stores around the Minneapolis area. I no longer live in the Twin Cities, it's probably better that there's not a source for chocolate covered potato chips around where I live now! But back to baked goods. If I really wanted a chocolate covered potato chip in cookie form I would make this exact recipe: potato chip cookies! Potato chip cookies are like an extra brown sugary chocolate cookie with added texture and a bit of saltiness. The salt isn't overpowering, and the potato chips turn into these tasty chewy bits both inside and outside of the cookie. They are so so SO good! 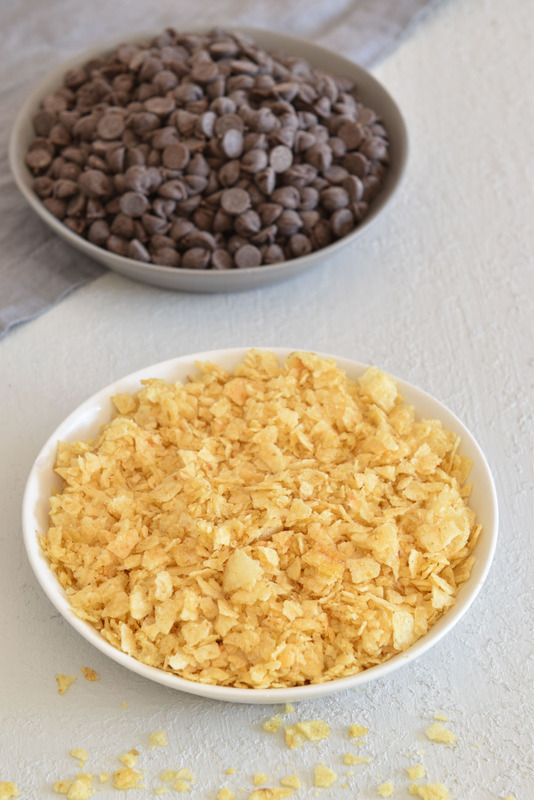 The key to balancing the salty potato chips in the cookie is something that many recipes don't include: chocolate chips! I used semi-sweet chocolate chips for my recipe, but next time I want to try them with milk chocolate chips. I think the creaminess of milk chocolate would go well with the added potato chips. I also think milk chocolate chips would line these cookies up even more with chocolate covered potato chips. That can't be a bad thing! Use a full cup of brown sugar. I prefer dark brown, but you can use either dark or light brown. Preheat the oven to 375 degrees F and line at least 2 baking sheets with parchment. Mix the butter on medium for about two minutes, until light and fluffy. Add the brown sugar and granulated lated sugar, mix on medium for 3-5 minutes. Add the vanilla and eggs and mix until fully mixed in. Stir in the flour, baking soda and salt on low speed or with a wooden spoon until combined. Use a wooden spoon to stir in the chocolate chips and 2 cups of crushed potato chips. Put 1 cup of crushed potato chips in a shallow bowl. If the dough is too sticky to roll in your hands, put it in the fridge for 20 minutes. Then, roll the dough into 1.5-inch balls, and roll them in the crushed potato chips until they're coated. Place the cookies 2 inches apart on the parchment-lined baking sheets and bake until golden, 11-15 minutes. Let cool on the baking sheet for 5 minutes. Enjoy! Scroll down to find a printable recipe for the best potato chip cookies! 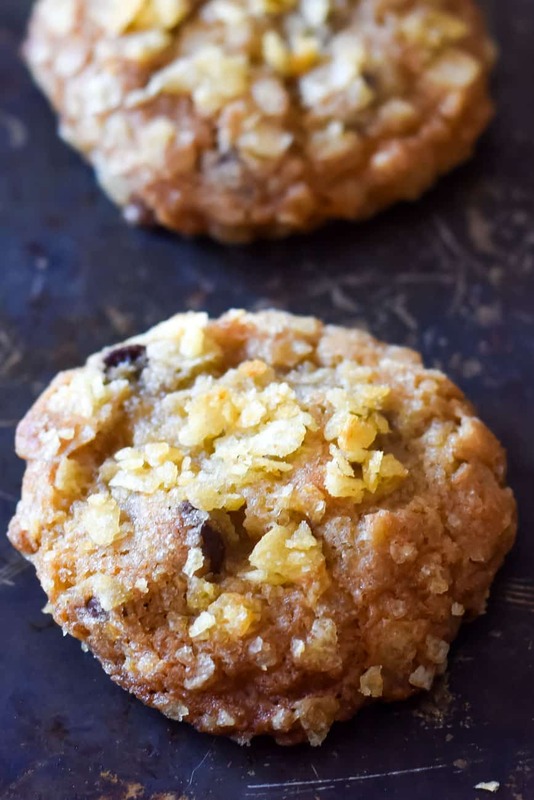 Buttery potato chip cookies made with crushed potato chips and chocolate. They taste just like a chocolate covered potato chip! Preheat the oven to 375 degrees F and line 2-3 baking sheets with parchment. 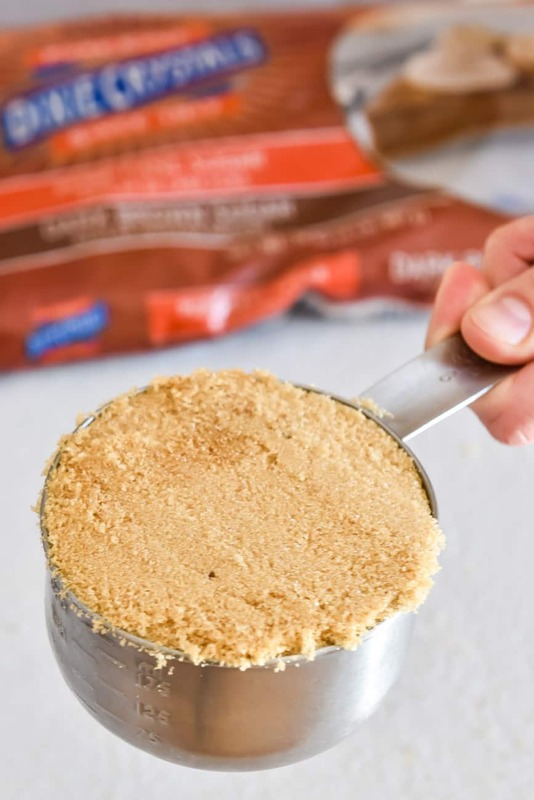 Add the brown sugar and granulated lated sugar, mix on medium for 3-5 minutes. Add the vanilla and eggs and mix until fully mixed in. Stir in the flour, baking soda and salt on low speed or with a wooden spoon until combined. 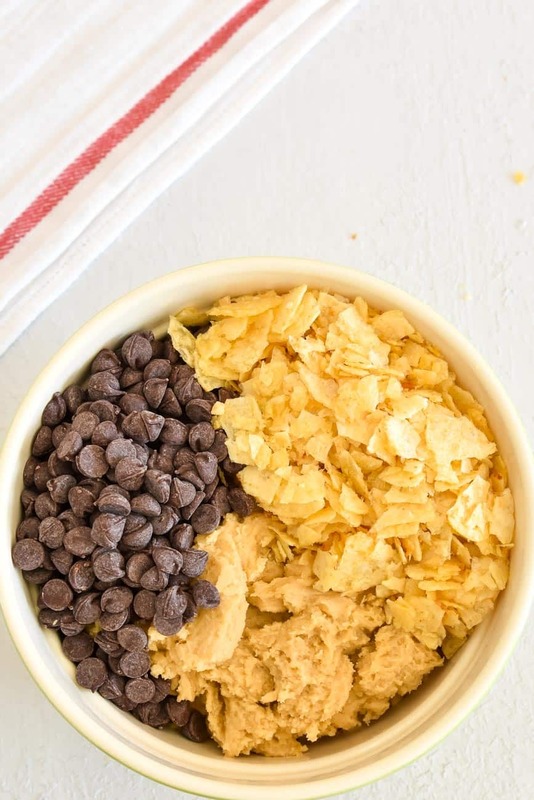 Use a wooden spoon to stir in the chocolate chips and 2 cups of crushed potato chips. Put remaining 1 cup of crushed potato chips in a shallow bowl. 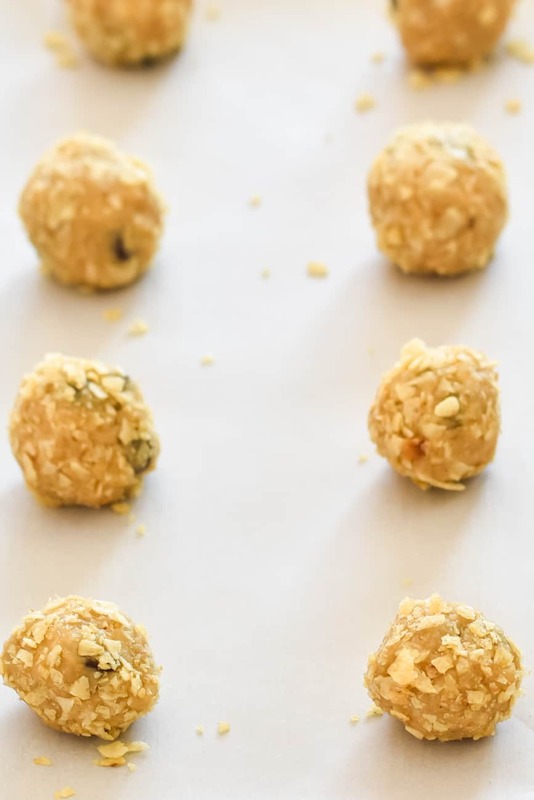 Roll the dough into 1.5-inch balls, and roll them in the crushed potato chips until they're coated. Place the cookies 2 inches apart on the parchment-lined baking sheets and bake until golden, 11-15 minutes. Let cool on the baking sheet for 5 minutes. If the dough is too sticky to roll in your hands when you start step 4, put it in the fridge for 20 minutes. I'm not the only one posting a delicious recipe to raise money for Cookies for Kids Cancer. Help support the cause by visiting all of these other sites sharing wonderful treats to raise money! 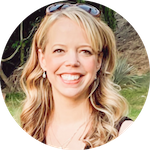 White Chocolate Cashew Cranberry Cookies from Diary of a Southern Mrs.
Marybeth, You are wonderful for creating and sharing this lovely recipe for such a worthy cause!